Note: We used to buy the cheap scratching posts and replace them every year until we tried the Smart Cat Ultimate. 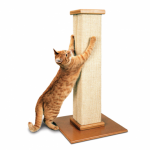 1) See review below on the ultimate tall cat scratching posts. 2) How tall should a scratching post be? 3) What is the best material to cover a scratching post? First, let me start by covering why cats need to scratch and it is not because they have a behavioral issue. Here’s a little fun fact – Pilates was created in the 1920’s when Joseph Pilates started watching cats stretch. 3) They release hormones when they scratch which relaxes them. 4) They are marking their territory through scratching due to scent glands in their paws. How tall should your scratching posts be? This is a great question and usually overlooked when picking out a scratching post(s). The posts need to be tall. Your kitty needs to be able to stand on their back legs with their front paws fully stretched out up the sides of the post. 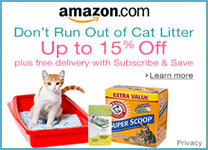 In other words, your cat needs to extend their bodies on the scratching posts, which is why you absolutely need tall cat scratching posts. The scratching post needs to be very sturdy. 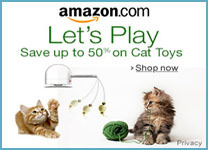 If it is wobbly, your cat will not use it a second time and it can be dangerous for kittens if it falls over on them. Kittens will run up the side, which will test the sturdiness of your post. What material should cover your post? I highly recommend using an un-oiled sisal rope vs carpet. You can read a previous post that discusses this subject in more detail (HERE). Sisal will hold up to the abuse far better than carpet unless the carpet is a premium grade carpet. 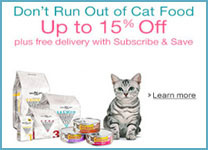 Most tall cat scratching posts that utilize carpet do not use a premium grade carpet. Cat sisal fabric is my preferred material covering for a scratching post. Sisal comes from the Agave Sisalana plant from a region of southern Mexico and it is extremely durable. 1) It causes your cat’s claw to catch which pulls on their nail joints. 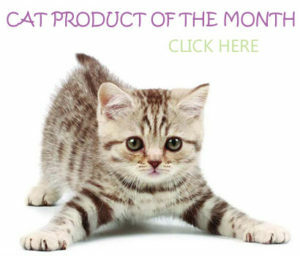 Many cats will not scratch on a carpet scratcher for this very reason; consequently, the cat owner just thinks their pussycat does not like scratching posts. 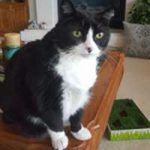 2) Since you have carpet in other places of your home, you do not want to train kitty to scratch the carpet. Consequently, this is why sisal is the preferred material. 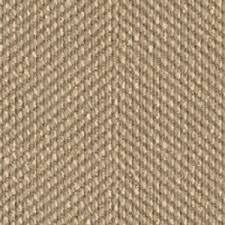 3) I like sisal fabric over sisal rope. When your cat scratches the sisal rope, the fibers can dislodge and can be sharp and this can cause furry to be less than happy about scratching the post. Some sisal rope can be too thin in diameter or applied incorrectly. In contrast, a sisal fabric scratching post will get softer as it is used and this encourages your fur-ball to use it more. Additionally, the sisal fabric allows your kitties claws to slide through the material. Let's get to the review. The Smart Cat Ultimate is a Sisal fabric Scratching Post that stands 32” tall that allows your kitties of all sizes to get the full stretch they need and want. The full stretch is important for muscle toning. 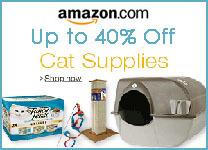 This scratching post is one of the most reviewed on Amazon with over 7100 reviews. Amazons rating is 4.6 / 5. 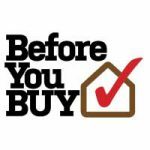 • It's more expensive than other posts but since it will last for years, it will save you money (seriously). We have two big male cats; 16lbs & 19lbs and one petite female. We use a multi-scratching post strategy. We have several scratching posts strategically placed upstairs and downstairs with one cat tree that has sisal rope around all of the posts. Their favorite post is hands down the tall cat scratching posts, which are both upstairs and downstairs. I have used a lot of scratching posts over the years; vertical posts, horizontal posts and hanging doorknob-scratching pad. These scratching posts/pads utilized carpet, cardboard, sisal rope and sisal fabric. I have tried them all and I have seen them all. 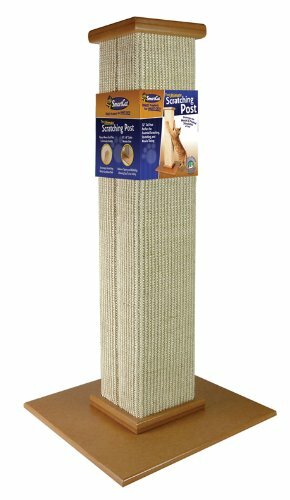 This tall sisal fabric scratching post utilizes sisal fabric and my big boys use it all day long every day for 4 + years and it still looks great. It holds up to their weight without wobbling and standing at 32 inches it gives them a full stretch. My previous carpeted scratching post purchases would usually last only a year. I finally invested in a good scratching post and it definitely has saved me money. This unit will cost more than other scratching posts but will last four to five times longer, look great in your room (best-looking scratching post I've ever had) and it will give kitty a tall post to really stretch and enjoy.